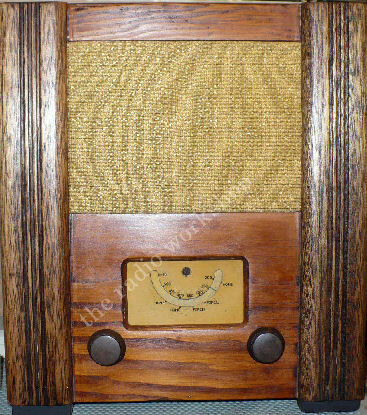 With materials in short supply during world war two, and money limited, a large number of people couldn’t afford to buy a radio to keep up with the latest news. So, the government came up with a plan. The idea was to get several radio manufacturers to produce a radio of a standard design. This initial design was undertaken by Dr G D Reynolds of Murphy Radio Ltd. The result was the Wartime Civilian or Utility Receiver which was an affordable and effective radio. Long wave broadcasts were suspended during the war so the set only covered medium wave. Apparently, the cabinets were made from orange box wood to keep the cost down to a minimum. But, although these radios were basic and built to a price, they weren’t unattractive and they worked well. Whether this is true or not, I don’t know… Radios packed in boxes marked ‘Civilian Utility Radio’ were regularly stolen from railway station platforms before they were loaded onto trains. To put a stop to the thieving, the radios were eventually sent out in unmarked boxes.